In the winter the Olympic club offers cross country and road running and caters for all age groups from Under 7s through to Over 80s! We're a family club where we often have Mum, Dad and the kids sign up. You're never too young to start in this sport. We have club trips away, and Saturday afternoon interclub races or club runs. Plus lots of training options for all ages. The clubrooms for our Olympic Harrier Club are based at Alex Moore Park in Johsonville. 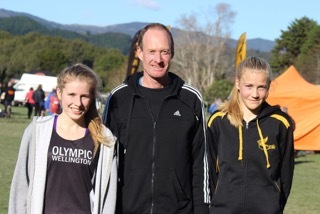 Our trainings for juniors take place at a variety of venues, refer to our main website for more information https://www.olympicharriers.nz/membership/coaching/. Interclub races are held on various Saturday afternoons throughout the season and include races for Under 9s, Under 11s, Under 13s, Under 15s, Under 18s, Under 20s, Seniors and Masters. So all ages! Winter registration generally opens in April and our first race is the club's annual Maiden & Perston Races at Grenada North Park. Open to all members and potential members. Come along and take part in the 1km or 2km club races or just come and see what it's all about, ask questions, meet our club members and coaches, chance to purchase club uniforms. The races are for all age groups from young juniors through to college age, seniors and masters. Our club also hosts the first interclub race of the season at the end of April - The Shaw Baton Relay. The venue is Battle Hill in Pauatahanui and is a great first event with relays for Under 11s, Under 13s, Under 20s, Seniors and Masters, as well as a kids race for Under 10s. 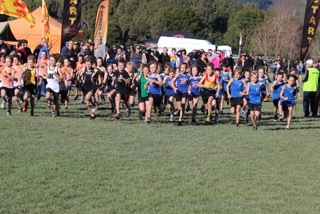 Our largest club trip of the year is the North Island Cross Country Champs in Taupo. It's held the first Saturday in July and our club has won the North Island Club Trophy many times. There are races for Under 10s, Under 12s, Under 14s etc all the way up to 75 years plus. We have a club dinner on the Saturday evening, and many decide to stay on for an extra couple of nights and make it a family holiday. So there's lots on offer at Olympic over the winter and the summer. We'd love to have you come and join us no matter what your age or ability. We're a club whose motto is 'Running for All'.